Be it 1″ or 10″ you need them shortening we can do it. We will replace all stitching back to the manufactures finish, replacing all internal stitching and overlock stitching to the same as before it had been altered. We can also add the heal (kick) tape onto the inside of the trouser hem for added weight and to stop the bottom of the hem from wearing away on the rear of your shoes. In most cases the manufacture leave in an inlay of around 2″ for us to let down. So if your trousers are half mast and showing off your socks a little, we can certainly let them down for you. On most occasions there is not enough room inside for the heal (kick) tapes to be added (replaced). We can take in trouser waists be upto 4″. The only thing you have to watch out for here is that the rear pockets don’t meet. This looks very odd and is un-confortable once altered. The lower seat area can also be taken in if requested. In most cases the manufacture leaves in an inlay of around 2″ for us to let out. So if your new trousers are slighty too tight and need a touch out, or you have put a bit of weight over the Christmas period. We can defiently alter those for and make you feel alot more comfortable in your trousers. We can taper the thigh area in for you, if you would like them more fitted. With some suit trouser being around a 14″ bottom as standard, we can amend any old or new trousers with a wider leg pair down to around a 14″ bottom on request. We take special care to make the leg not look like its been altered, to retain the cut of the leg to be graduated and look as if its never been altered. Every now and then we get this request, when for some odd reason a suit trouser has been cut with slightly longer crutch than normal, we can alter this and remove the excess underneath. Other mens and ladies suit alterations can be carried out on request; the above are the most popular. 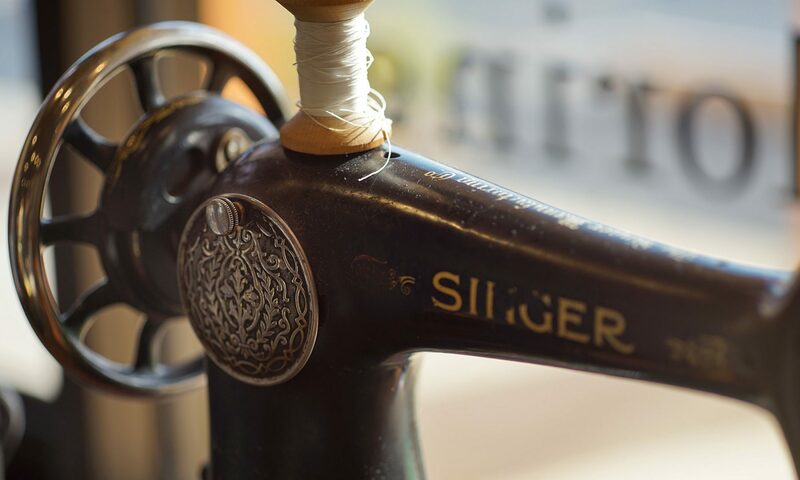 We use only the highest standard cotton threads which are of the best quality and durability for the alterations process be it to your suit, trouser, jacket and clothing.